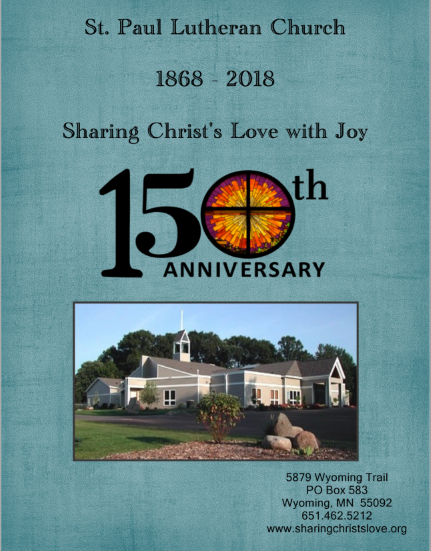 Sharing Christ's Love with Joy ​for 150 years! 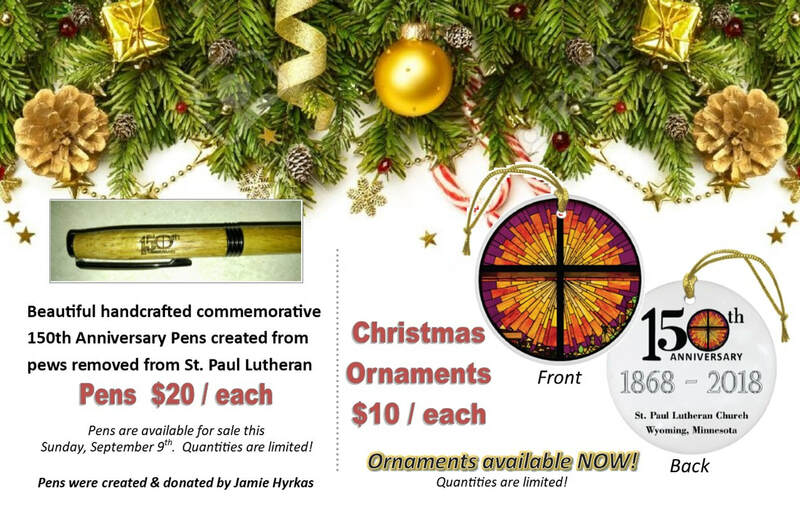 Christmas Ornaments and Pens are still available for sale. We will be selling them on random Sunday Mornings. If you would like one (or more! ), please contact 150@SharingChristsLove.org. Have you picked up your Anniversary Book? 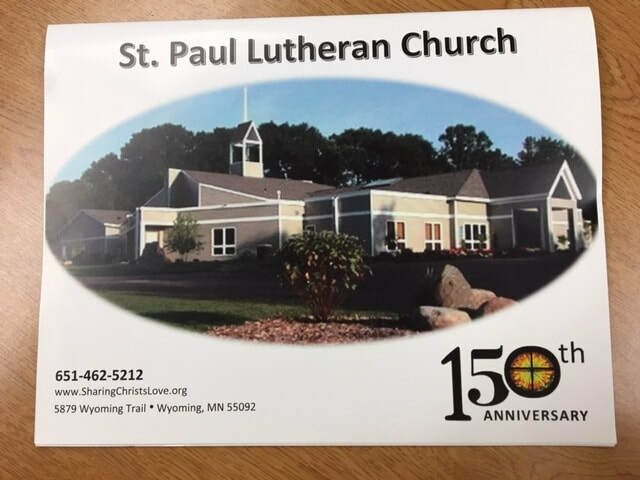 This book shows the history of our first 150 years of St. Paul Lutheran Church. Books will be available this Sunday, Rally Sunday. Your first copy is complimentary, additional copies are available for $10 each. ​Errors and Omissions: The 150th Team regrets the errors and omissions that were a part of the 150th Anniversary Book. 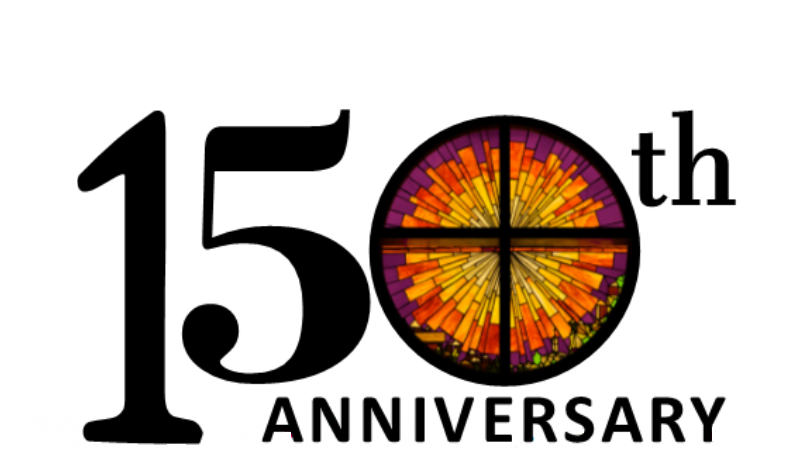 The 150th Team put together a calendar to share with the congregation. If you have not picked up your calendar, please check your mailbox at church or let the church office know. 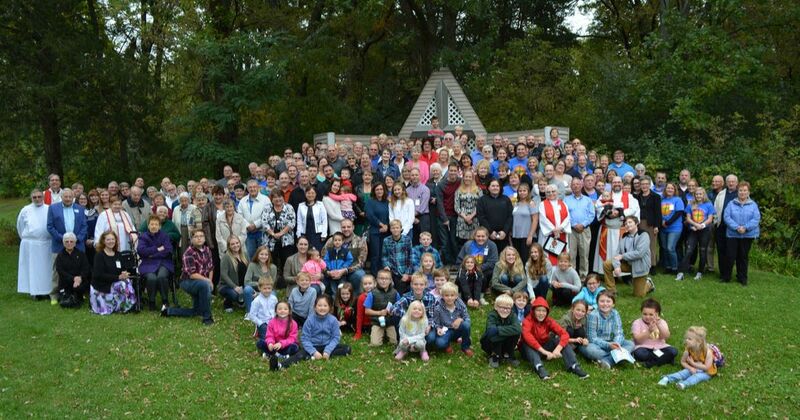 During the early years, there was no resident pastor. The church was served by visiting pastors who came from St. Paul. Early pastors, up to 1919, served both the Wyoming and Weber churches. The monthly services were usually held Sunday afternoon or evening. 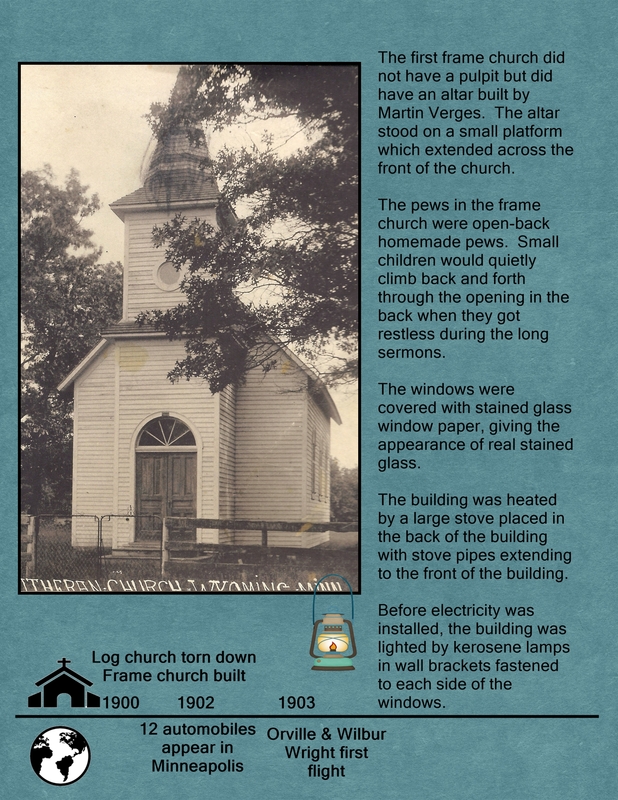 In 1882, we paid $20 for the land the original church was built on (Viking Boulevard).